Keep the job site safe and pleasant without overworking your crew. 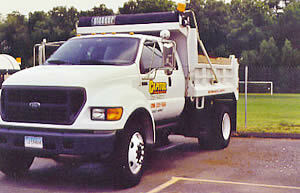 Call Capitol Sweeping Services, Inc. to pick up where you left off! Our construction site services include litter and material removal, dump services, sweeping, power washing and power vacuuming. Flexible scheduling allows you to take advantage of good weather and daylight and ensures the site will be ready for work when you are.